We all know that Hawaii is a great place for a romantic vacation but it is also a great place for a vacation for the entire family. So, if you are a parent who is planning a trip to Hawaii, discover some of our favorite things to do on each island. Dolphin Quest - At the Hilton Waikoloa Village, you can meet one of the ocean's most amazing and intelligent creatures face to face. You'll learn about the dolphin's fascinating abilities and gain a personal appreciation of the importance of preserving the world's oceans and its inhabitants for future generations. Hawaii Volcanoes National Park - This is the one place that you must not miss when you visit Hawaii. Where else on earth can you see the planet growing before your own eyes? Pana'ewa Rainforest Zoo - Located in the middle of a tropical rainforest, so pack your umbrella and waterproof jackets, since an average of 125 inches of rainfall on this zoo annually. Kauai backcountry adventures - The entire family will enjoy a fun and exciting day as you grab a tube, don a headlamp, and jump in the gently flowing waters. Witness ​Kauai’s spectacular, historical engineering feats as you float down the open canals, through several amazing tunnels and flumes engineered and hand dug around 1870. At the end of your adventure, you will be guided to an enchanted picnic area nearby, for a delicious lunch and a cool dip in a natural swimming hole. Kauai Plantation Railway - Running through the grounds of the Kilohana estate and adjoining 70-acre tropical plantation, the 2.5-mile rail line passes stands of original island crops, sugar cane and taro - the staple starch of ancient Hawaiians, and on past grooves of mango, banana, papaya, coffee, and pineapple and then on to experimental plantings of longan, cashew, hybrid mango, noni, and atemoya. Along with these crops, traditional Pacific islander vegetable gardens are being laid out side-by-side with plantings of exotic flowers and hardwood trees in an unequaled array, representing both the past and future of tropical agriculture on Kauai. Koke'e Natural History Museum - Koke'e Natural History Museum is a little museum with heart open 365 days a year. Koke'e Museum provides interpretive programs and exhibitions about Kaua'i' s ecology, geology, and climatology. Kokee's Museum also provides basic information on trail conditions in Waimea Canyon and Koke'e State Parks. Makena Stables - Children 13 and older are welcome on their rides when accompanied by an adult. This is a great opportunity for young people to ride horseback in Hawaii. Maui Ocean Center - This is the best aquarium in Hawaii with both indoor and outdoor displays. You can learn all about sea life in the waters of Hawaii and have fun doing it too. Whale Watching Adventures - The Pacific Whale Foundation Eco-Adventures include trips to see whales, dolphins, and coral reefs with sea turtles. Atlantis Submarine - See two giant sunken ships, remnants of two airliners and the Atlantis Reef project! The highlight of the Waikiki dive is a giant World War II oil tanker that rests on the ocean floor serving as a home for schools of fish and other ocean inhabitants. 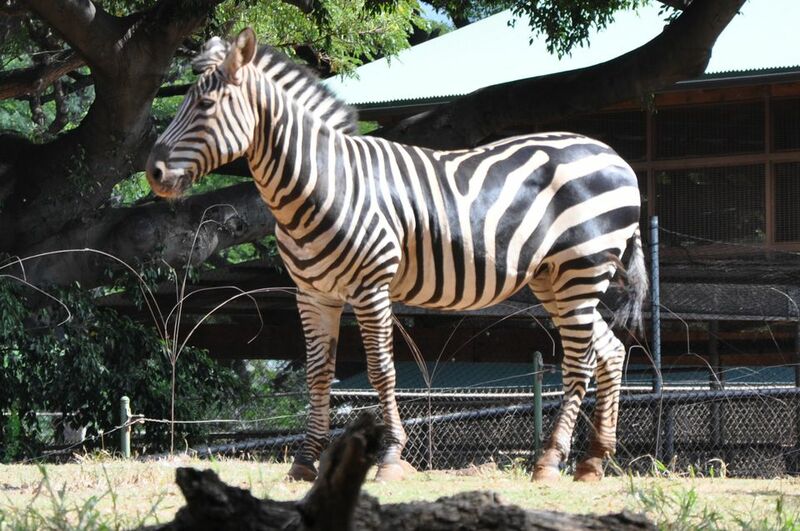 Honolulu Zoo - Located within walking distance of the Waikiki hotels, this is a great zoo with a great African exhibit and a special Zoo by Moonlight tour. Sea Life Park - A big 62-acre ocean theme park. Be sure to check out the "wholphin" exhibit—the only one in the world. What's a Luau and How Can I Have Fun at One? Where Are the Best Places for Families to Stay in Hawaii?